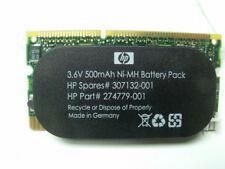 HP Spare #:412799-001. Proliant DL385 G1. Proliant ML370 G5. Proliant ML350 G5. Proliant ML310 G5. Proliant ML310 G4. Proliant ML150 G5. Proliant ML150 G3. Module and 64MB cache RAM only - no cables. With over a decade of experience in the market, Server Surplus is located in the heart of Florida. OTHERS (4). Server Surplus does not cover any Duties or Custom fees. We can custom build the server you need. Specializing in new and used electronics for over twenty five years! Ports: SAS Ports / 2. Smart Array. Sub-Category: Smart Array. Form Factor: Plug-in Card. Servers supported: HP ProLiant Servers. Data Transfer Rate; 300 MB /s. All our products are thoroughly tested by our technicians to make them ready to use. Pulled from working environment. See pictures for details. Generation: E200. Smart Array. Sub-Category: Smart Array. Supported Devices: Hard Drive Disk Array Raid. Form Factor: Plug-in Card. Servers supported: HP ProLiant Servers. All our products are thoroughly tested by our technicians to make them ready to use. We want you to be happy with your overall experience. HP Part Number: 412799-001, 012892-000, 012891-001, 305414-001. We will do everything we can to repair or replace the item. GRADE "D" = AS-IS FOR PARTS OR REPAIR. v Provide our staff with a copy of your invoice, a form of identification, and a signature for your item(s). No longer want the item. Defective or Not Described. (Unless otherwise noted). Then we will. Wrong size doesn't fit. Or it doesn't fit your application and is marked. Reference the RMA number outside of box. Check parts for our serial numbers before sending back. The RMA number must be referenced on the airway-bill, otherwise you may incur delays. Manufacturer HP. About: We are NES Sales, Northeast's industrial source. Notes: Does not include stand. Sold as-is, as pictured. This card was pulled from a good working server. It is being sold as used. Accessories are not included. In certain cases we will work with you, depending on the situation. -We recycle surplus electronics products. (A representative will respond quickly. The item you will be receiving will be labeled with part number 412799-001. Manufacturer: HP. 5) 100% Authentic and genuine products. Why Buy From Us. Condition Detail. For: DL360 G5. NO CACHE MODULE. No P.O. Box, Guam, Puerto Rico, AFO. ALASKA WILL BE HIGHER. HAWAII, AND. It’s always possible when dealing with any technology (used or new) that it may be dead on arrival. We are always looking for partners. In Case of DOA. Location: Q2 B1. No exceptions will be made. Part Number: 413486-001. Inventory Location Q2 B1. This was pulled from a working server. We have several of these. The item pictured may not be the one you receive. 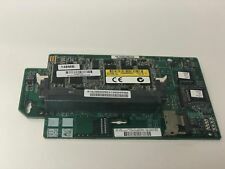 HP SMART ARRAY E200I 399558-001. - SUPPORTED DEVICES: HARD DRIVE, DISK ARRAY (RAID). This graphic design is wholly owned by aPRESS24. Reproduction, photocopying, distribution or otherwise using materials in any of the fields of use without the written permission of aPRESS24 is prohibited. DELL PowerEdge iDRAC6 Enterprise remote access card - 0K869T / K869T. 270 sold. Item: 105433. EUR 7.99 . All of the servers tested. Only 4 available! Networking170 . EUR 6.99 . Manufacturer HP. Used products which have minimal to normal wear. Checked by our technicians and functional. Is not sent in original box. KOSTENLOS & SCHNELL INNERHALB DEUTSCHLAND. Server & Netzwerktechnik. For: PROLIANT DL360 G5. cache: 128MB. interfejs: SAS. typ: SMART ARRAY. marka: HP. cache spare: 413486-001. HP E200 SMART ARRAY. 128MB 413486-001. KONTROLER SAS / SATA. This graphic design is wholly owned by aPRESS24. Reproduction, photocopying, distribution or otherwise using materials in any of the fields of use without the written permission of aPRESS24 is prohibited. All the logos used are propriety to their respective owners and Technology Traderz does not have any authority over them. We are equipped with the best technical staff that is professionally trained and remarkably compatible to your needs. 2 connectors 4 channels each, for total of 8 channels. Working pull. 2 x SATA 1.5 GB / s SAS - 4i MultiLane SAS (SFF-8484), 32-pin (within). No cache module. RAID 0, RAID 10. SATA 1.5 GB / s SAS. Raid Level. Hard drive, disk array (RAID). Manufacturer HP. Data transfer rate. HP Spares#: 307132-001. HP Part#: 274779-001. Battery (Included). DG#: 011786-001. 64MB Cache Card 412800-001. We are more than willing to work with you to resolve any issues you have. We will fix or replace any hardware defects that you find upon receipt of your item. If you do need to send an item back we will fix or replace the product. Item is in great condition. Pulled from a previously working setup. ORIGINAL SET TWO SAS CABLE FOR HP Smart Array P400i /E200 /E200i SAS RAID CARD.